Offices and hallways lined with filing cabinets are a distant memory for Crystal Garvey, NIU Senior Associate Director of Admissions Systems and Processing. More than a decade ago, Garvey turned to OnBase, an innovative way to process, share and store documents. It’s a document management system that stores document and files in one secure location and has workflow capabilities. NIU Manager of Enterprise Document Imaging Vance Moore said it sends the work to the right people at the right time. “They don’t have to hunt things down, things don’t get lost in a paper shuffle and it really improves efficiency,” Moore said. OnBase lets computers do the work computers are meant to do, Moore said, freeing up NIU employees to interact with students and create the kind of relationships that make them proud to be a Huskie. And others share the sentiment. More than two dozen departments are OnBase users, including the College of Law, the Graduate School, Procurement Services, Registration and Records and the Scholarship Office. Even better, OnBase is funded by the university which means no chargebacks. With the proven track record of its benefits and testimonials of Huskie employees, there has never been a better time to get on board with OnBase. 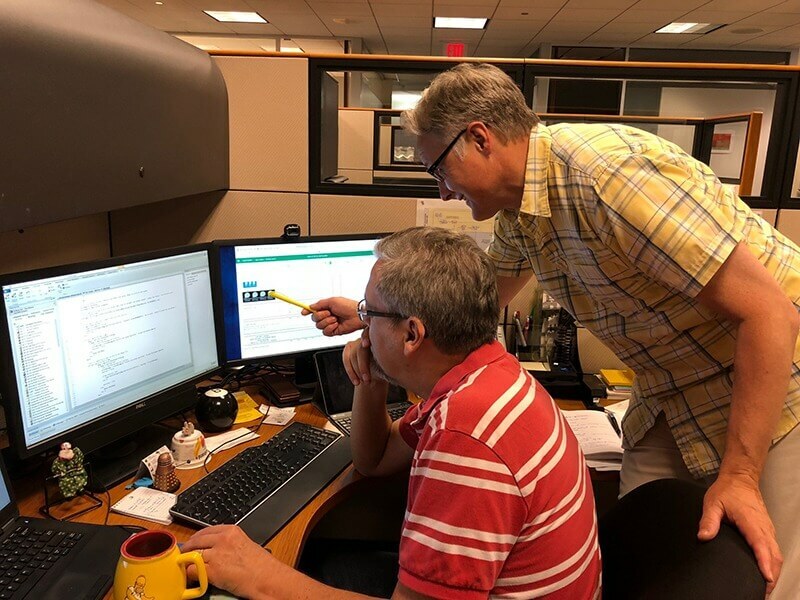 If you are considering OnBase and would like to discuss how your department may benefit from using it, contact DoIT’s OnBase development team at onbase@niu.edu to get started!